Your grace is A-M-A-Z-I-N-G & I am honored to be on the receiving end of it. It’s been one of those weeks where it’s quiet around my house & yet different things I’ve been involved in have come together. I feel like I have a million things buzzing through my brain & before I can get them done or down on paper, my brain just wants to shut off. I w&er through the house unmotivated. I sit down & then–literally–can’t get up -because my knees have locked up. The phone rings & I start to get up. Nope. Not going anywhere. Monday I was just getting ready to try to get moving when my housekeeper walked in. She comes every 2 weeks & I had gotten the dates mixed up. The house was a mess & my knees had just been going out, so she kindly picked up the stuff around the house on the floor. The show Peace in the Storm with Maureen Pratt aired every day this week. I wish we could get a copy of it, but so far, no luck. You can watch at the link provided & if you are up Friday night (tonight) at 1 AM, well, that is the last showing! I sent out a few review copies of my book “How to Start a Chronic Illness Small Group Ministry” & while at my son’s karate class, I wrote reviews for some of the small group books I read while I researched it & added them to Amazon. I am giving away 3 copies of the book today! To qualify for the drawing, we asked people to share something on our web page here about leading a small group, your fears, if you’ve been considering it, etc. If you didn’t hear about the contest, be sure to sign up to get our daily updates from the web site. We are currently having a sale through May 1st . If you buy a copy of “How to Start a Chronic Illness Small Group Ministry” you get a free copy of Beyond Casseroles: 550 Ways to Encourage a Chronically Ill Friend. “Tax time” has hit the friends of Rest Ministries a lot; we’d had just 3 orders (yes, 3 orders total) in the 6 or 7 days until I mailed out the flyer yesterday. So thank you to those of you who have been able to buy anything to help support us! Personally, I am so burnt out on computers. My head is just tired. I’ve been trying to get the DVD of my presentation edited & I don’t have a clue what I am doing. I hired someone for $5 via www.fiverr.com to get my Facebook “Fan” Page working. If you are a “friend” on my Facebook page, you may want to note that I will be moving everything over to the “Fan” Page which Facebook (just this week) is now calling “Like” Page. I wrote a new article that I’ve submitted around the internet, “The First 5 Steps to Take After a New Diagnosis.” This article is available to reprint on your own site or newsletter if you are interested. You can find other articles I’ve written that are free to use (these are great for support group newsletters too!) on our web site. Go to www.restministries.com & then in the dark gray navigation bar at the top hold your mouse over “Articles” & you will see a drop down bar that says, “Articles Free to Reprint” . Carnival – What is this? A web carnival is when a whole bunch of people write on one particular topic on their own blogs, & then submit the link to the carnival owner to see if it’s accepted. Jenni over at chronicbabe.com has started a new blog carnival for women with illness & this week’s topic was “Love, Illness, & Other Confusing Things.” This is not a Christian web site, but my blog was accepted as I discuss, “Please Don’t Kiss Me!” about my marriage & trying to not get each other sick. May 19th we are HOSTING a carnival called “Patients for a Moment.” We will be looking for submissions! Click here to find out the topic! We DID have a Christians with Chronic Illness Blog Carnival last year, but sadly our coordinator had to resign when her household faced unemployment & they had to move to somewhere without much internet access. If you would be interested in possibly fulfilling this role, let me know. You need to be comfortable & efficient with blogging & know what a carnival is. I think it would be great to have other Christian blogs/web sites that discuss illness to let everyone know about. I am excited that I have committed to attending a conference in June in St. Louis with a Christian writers group I belong to. They also had a need for someone to lead an internet marketing workshop, so I am glad to be able to give back to this wonderful organization, AWSA. Since I recently spoke at the church I grew up, (you can read about my experience here), I am eager to start speaking more & I have a wonderful presentation for church leadership that I gave to the deacons at the First Presbyterian Church. In light of this, I decided it was time to get my “speakers” web page updated. These pages always seem self-indulgent, but they are supposed to be helpful for people who are looking for a speaker for their women’s retreat, church, support group, etc. The devotionals are really the “meat” our our ministry. I like to provide some articles that are fun or helpful, but to truly grow spiritually through Rest Ministries, I encourage you to sign up for the daily devotionals. Even if you delete some of them without reading them, I know the ones you do read will bless you.If you like to get the ENTIRE devotional in your email (& not just a link) sign up here. 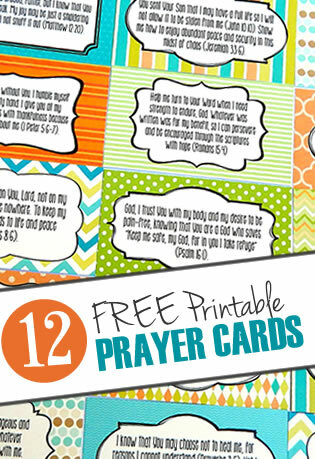 A special shout out of thanks to our devotional writers who are doing an amazing job sending me devotionals far in advance so I can post them to the web site a couple times a month & have them all set. Remember that our devotional writers are people just like you who are hurting, both physically & emotionally. If a devotional comforts you, please don’t hesitate to write in the comments section of the post so that our writers can hear from you. We have a cute little bag that we are looking for your ideas for the picture/logo. Head on over to our web site & in the comments section let us know what you would like to see on it. If we choose your idea, you win a bag! Help Us Design This Bag! When You Hope & Are Disappointed, Then What? Where Do You Find Rest Ministries on Google? I’ve enjoyed the quiet moments with my son. Last Friday we went to see Diary of a Wimpy Kid at the movies. We’ve done trivia games, made pesto pizzas with shrimp (& he actually touched the shrimp – he’s come a long way.) 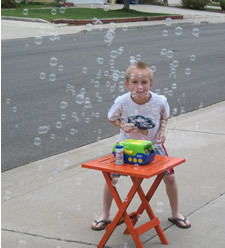 We stood outside with the bubble machine on one of the windy days & covered the neighborhood with blueberry scented bubbles. The video games have not been on in more than 10 days – by his choice. Last weekend he set up his entire battery-operated Thomas the Train track through the house, down the hallway, under the coffee tables, & more & then attached his camera & made movies with it. I used to need the video games so I had something to “take away” when his behavior wasn’t good, but he’s been such a good kid, there’s been no need to threaten anything. Despite my pain that has been heightened this week due to the storm & pressure in the air, I’ve truly relaxed & enjoyed just being a mom & treasuring these moments before they slip away. In the back of my mind, I am eager to get done with the ‘busy work’ of the ministry so I can start back in on my “moms with chronic illness book.” I can so see God’s h& in each step of this journey. May God hold you in the palm of His h& this week — & let you feel it!